To make the Shrimp and Sauce: In a large bowl combine shrimp, salt, garlic, maple syrup, olive oil and chili paste, mix well. Saute shrimp in a skillet over medium high heat. Cook in 2-3 batches to avoid overcrowding, removing cooked shrimp to a bowl until last batch is cooked. 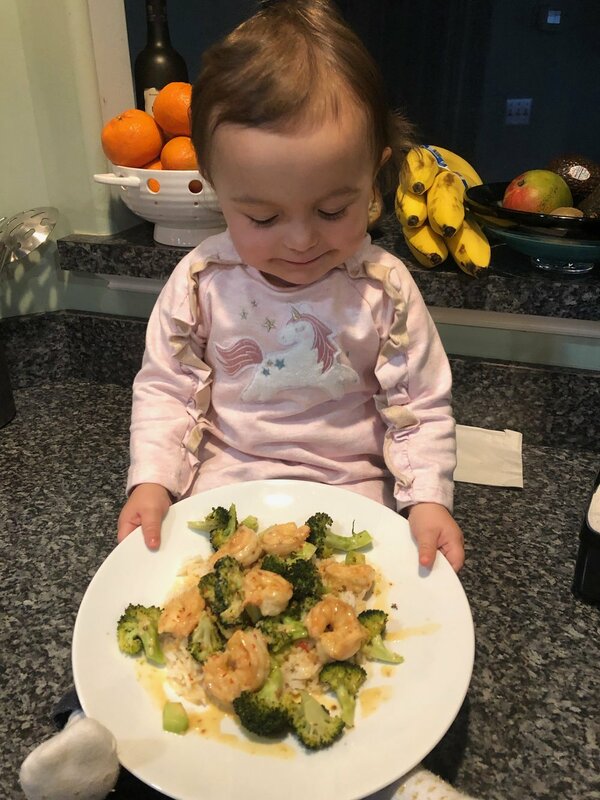 Add coconut milk and lime juice to shrimp pan, simmer and cook gently 2-3 minutes, if you would like sauce thicker raise heat to reduce to your liking, add shrimp just to warm them back up and serve over jasmine rice, quinoa or pasta. To make broccoli: Heat oven to 425” Chop the broccoli and garlic. combine on a sheet pan and season with salt, pepper and organic olive oil, stir well. Roast for 15-20 minutes stirring once about halfway through. Serve on top of, or along side the shrimp and garlic sauce.